Apple's pricing strategy with the iPad Air and new iPad mini with Retina display should help the company's gross margins, analysts believe, while free software offered with new iOS and Mac device purchases should help drive upgrades and further tie users into the company's ecosystem. After Apple announced its new iPad lineup and other products on Tuesday, Wall Street analysts offered their take on the company's fall 2013 product lineup. Included here is a roundup of their opinions. Analyst Timothy Acuri said the higher $399 starting price for the new iPad mini with Retina display should help drive Apple's margins higher. He believes the fact that the device is $70 more expensive than last year's model, and that it will launch later in November, are signs that Apple does in fact face yield issues with the 7.9-inch Retina display —something that was rumored before the product was announced on Tuesday. Acuri also appreciated Apple's free software offerings for its users, including OS X Mavericks to all, and iLife and iWork suites to recent iOS and Mac device buyers. He believes the higher residual value offered by Apple should help fuel upgrades to new devices. 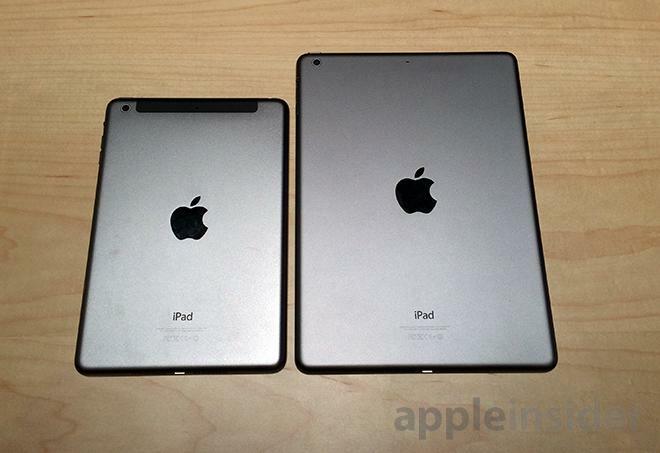 With the new Retina iPad mini starting at $399, Apple chose margins over volume, analyst Chris Whitmore believes. But he's OK with that, has he believes Apple may have priced the original iPad mini too aggressively at $329, negatively affecting the company's margins. Analysts believe the $399 Retina iPad mini will be a healthy shot in the arm for Apple's margins, helping keep them in the high 30% range. 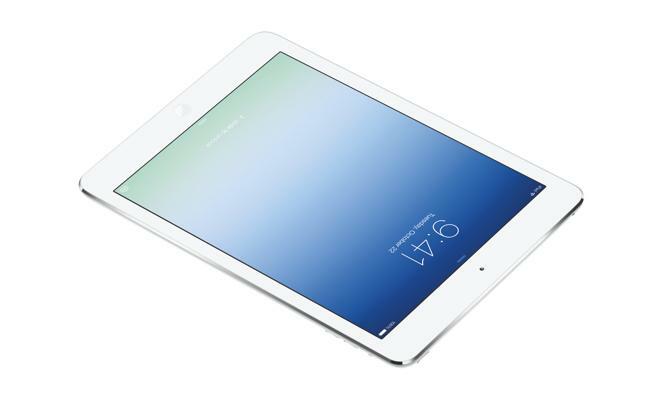 Whitmore also has high hopes for the iPad Air, which starts at $499. He expects the significant improvements to portability and new performance enhancements will be appealing to customers. And software has increasingly become a point of differentiation for Apple from its competitors, he said. In addition to supporting the company's free software strategy, he also noted that the interoperability and consistency of feel between OS X and iOS is a boon for customers in the Apple ecosystem. 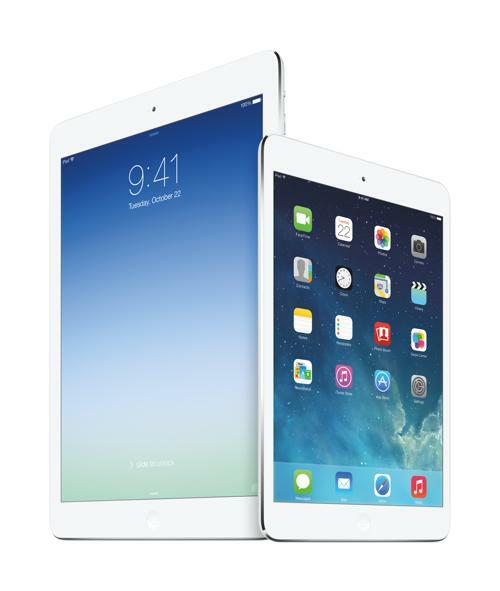 Between the pricing of the iPhone 5c and now the Retina iPad mini, analyst Gene Munster believes Apple's current strategy is to hold its ground on pricing mobile devices. He expects Apple will see overall gross margins of 36.7 percent in calendar year 2014. With the iPhone and iPad representing 75 percent of Apple's sales, he expects near-term gross margin to be stable in the 36 to 38 percent range. He also expects that the new iPads will reaccelerate growth during the current holiday quarter. Analyst Maynard Um believes collaboration capabilities between iPad, iPhone and Mac could help drive the so-called "halo effect" for Apple devices, encouraging customers to buy into the ecosystem. He said in his note to investors that pricing on the new MacBook Pro models with Retina displays is attractive, at $200 below their predecessors. And Um also expects the new Mac Pro desktop to become the industry standard for multimedia editing. For analyst Amit Daryanani, the biggest surprise from Apple this week was pricing of its new devices. The new Retina MacBook Pro models saw a $200 price cut, while OS X Mavericks and the iWork and iLife suites are now offered for free. Wall Street watchers expect Apple's new free software, including Mavericks, iWork and iLife, will tie users into Apple's ecosystem. As for the new iPads, Daryanani expects the iPad mini with Retina display to drive a "significant upgrade cycle" for Apple. He also noted that the new iPads will be available in multiple countries at launch, including China for the first time, which should help initial uptake. Charlie Wolf believes Apple's new pricing was a "major surprise" announcement from the company. He sees the move stimulating demand for new iPads as well as Macs. "But it has the potential to cause a world of hurt to competitors who still rely on software revenues to drive their earnings," he said. Consensus estimates for Apple's earnings are likely to trend upward in the near- to mid-term, thanks to the introduction of new iPhones and iPads that will likely be hot sellers, analyst Mark Moskowitz believes. He also indicated that Apple has "good timing" with the new iPads, as Moskowitz lowered tablet market revenue and unit estimates for the first time ever on Sept. 3. At the time, J.P. Morgan's research suggested that the "adoption wave" in the overall tablet market could be softening. "We think Apple's incremental features and price points could be enough to drive an Apple-related upgrade cycle in tablets," he said. Apple's new tablet lineup is "the most significant iPad refresh since the original iPad," analyst Brian White declared. 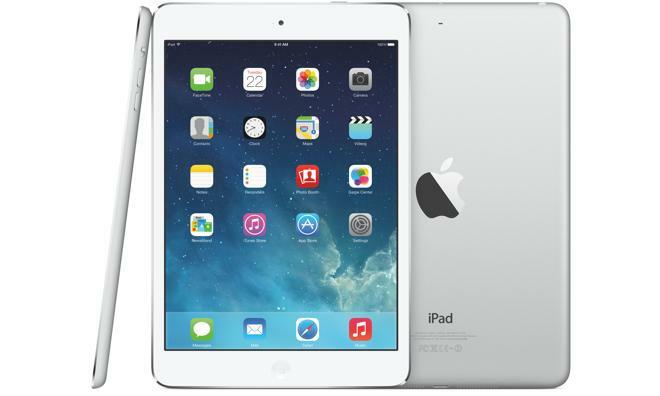 He sees the iPad Air and Retina iPad mini driving a "major upgrade cycle" for the company. 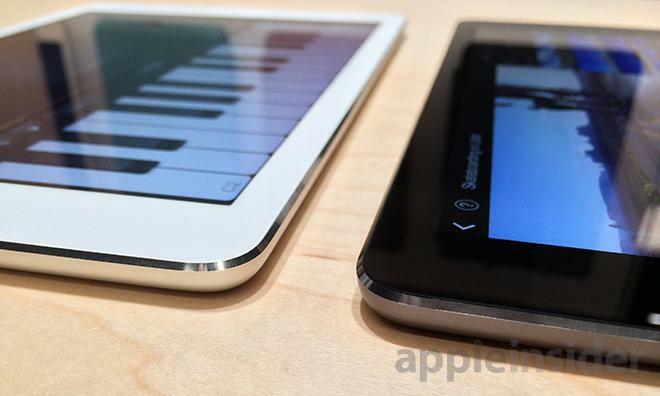 White expects that the later launch for the Retina iPad mini is likely a result of apparent yield issues with the device's high-resolution screen. Katy Huberty came away impressed with the broader price points offered by Apple's new iPad lineup, though she noted that the iPhone drives over 50 percent of the company's revenue and 65 percent of gross profit dollars. She sees several potential catalysts for the company between now and the end of 2014, including the potential for cheaper iPhones that could drive market share, a new iPhone model with a larger display, and new services that could tie in to the Touch ID fingerprint sensor currently exclusive to the iPhone 5s. Like many other members of the investment community, Brian Marshall was at Apple's iPad event, and after spending some hands-on time with the new iPads, he believes they will drive a "significant upgrade cycle" among Apple's established 170 million customer base. He highlighted the "velocity" at which Apple is planning to launch the new iPad Air, including shipping in China on Nov. 1, calling it "impressive."